Can you believe it, before the mayhem of E3 we started a quirky little competition to give away some Wolfenstein goodies. You guys came out in force with your epic German puns and I’m glad Random.org picked a winner instead of me. 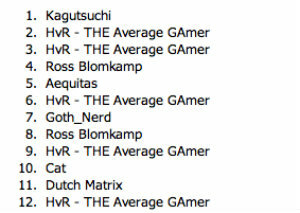 Well done to all of you, and a special congrats to Kagutsuchi for having the Reich stuff. I’ll be in touch post haste.